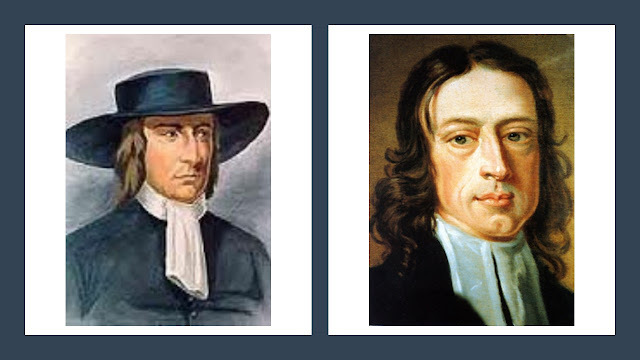 The texts below demonstrate the many similarities as well as the subtle differences between the religious vision of the early Anabaptists and the early Quakers. The Anabaptist writings all come from 16th century Europe and the Quaker writings from 17th century England. I have arranged the texts under key themes. Christ Jesus is the spirit and the truth of all the figures that have passed away, the end and fulfilment of the law of figures, but the beginning of the true substance and completeness eternally (Jn. 6:63, 14:6, Rom. 10:4). In Christ Jesus, says the apostle, is genuine substance (Eph. 4:21). In him are hid all the treasures of the wisdom and knowledge of God (Col. 2:3). Indeed, in him dwells the fullness of the Godhead bodily, and all shadows and figures are fulfilled in him. We have no assurance or seal through external signs and pictures, but through the true sign of all signs, Christ Jesus, as he himself says: just as Moses lifted up the serpent in the wilderness, so also the Son of man must be lifted up, that everyone who believes in him may have eternal life (Jn. 3:14-16). Therefore, O almighty Father, we together praise and thank you that you have so graciously called and separated us from this evil world… and drawn us to your marvellous light which is Christ Jesus, which illuminates our hearts, seals and marks us with the Holy Spirit, and that through him we know you as our true God and Father. Through him you have also made a new covenant with us (Heb. 8). This covenant is your law written on our hearts, where you no longer remember our sins, and we henceforth are and remain your children forever. Yea, it is impossible to retain the creaturely, as the false Christians do, and at the same time to receive salvation. The Spirit of Christ which is promised and given to all believers makes them free from the law or power of sin, and plants them into Christ, makes them of his mind, yea of his character and nature, so that they become one plant and one organism together with him: he the root or stem, we the branches, as he himself says, “I am the true vine, ye, however, are the branches. The Word must be received with a pure heart, through the Holy Spirit, and become flesh in us. This creates great fright and trembling in us, even as in Mary, when she heard God’s will through the angel (Lk. 1). The Word must also be born in us. This cannot happen except through pain, poverty and misery within and without. And where the Word is born and becomes flesh in us and we praise God for this goodness, there our heart is at peace, there we also become Christ’s mother, brothers and sister (Mat. 12). As soon as they become aware of this light they are terrified in their hearts because of the Word of God; they bend all their energies to resist sin. They pray, hear much preaching, read a lot, and ask many questions, all with a sincere heart. Although they are the enemies of sin nevertheless they cannot resist sin in their own power and are often overcome by the flesh. However, they are immediately sorry for it, suffer on account of it, and humble themselves faithfully. To them God gives grace upon grace. The reason for the errors is that Luther comes to Christ, to God, to the light. He will not have any of them in him, but only beside him, under him, near him. Therefore, whoever says that Christ is anywhere else than living on earth, as in heaven, in the power and clarity of the Spirit in the heart of each faithful believer, he is a deceiver. Whoever does not find Christ dwelling in his own heart, eternally will not find him elsewhere. All the others continually learn from, and are taught by, men. But these others never come to the knowledge of the truth, which is eternal life (Jn. 17:3). They never know God the Father as the true God, and Jesus Christ as the One whom the Father has sent. Therefore the Lord says that not everyone who cries “Lord, Lord” will enter the kingdom of heaven. Since no one know the Father but the Son and him to whom the Son reveals the Father (Mt. 11:27), on one but the Son could do the will and pleasure of the heavenly Father. Thus, no one but only the Father knows the Son. Baptism has three parts, that is Spirit, water and blood. These three are one and witness upon the earth. Firstly, the Spirit is the assurance in and surrender to the divine Word that man will live according to what the Word proclaims. This is the covenant of God which God makes with them through his Spirit in their hearts. Secondly, beyond that God has given them the water as a sign of the covenant. In this one indicates and confesses that he wishes to live in true obedience towards God and Christians and to live a blameless life. And whoever transgresses and does not live right and acts against God and love, he is to be chastised by others with words. This is the ban about which God speaks. It is to be a witness before the church. The third is blood which is the true baptism which Christ shows his disciples when he says that they are to be baptised with the baptism which witnesses to the whole world when a disciple’s blood is spilt. This is what he holds concerning baptism since he has understood it. Observe concerning baptism: Baptism shall be given to all those who have learned repentance and amendment of life, and who believe truly that their sins are taken away by Christ, and to all those who walk in the resurrection of Jesus Christ, and wish to be buried with Him in death, so that they may be resurrected with Him and to all those who with this significance request it (baptism) of us and demand it for themselves. This excludes all infant baptism, the highest and chief abomination of the Pope. In this you have the foundation and testimony of the apostles. Matt. 28, Mark 16, Acts 2, 8, 16, 19. This we wish to hold simply, yet firmly and with assurance. …The born again children of God and new creatures in Christ Jesus are those who are born again out of God the heavenly Father through Christ Jesus and are renewed and sanctified through the Holy Spirit, who have become participants of the divine nature, of the being of Jesus Christ, and of the character of the Holy Spirit. They are those who have died to sin and still daily die more and more, and experience righteousness; those who never boast in themselves but only in the cross of the Lord Jesus Christ, through whom the world is crucified to them and they to the world (Gal. 6:14); those who in true faith walk according to the rule of Christ and follow in his footsteps, who know no one according to the flesh, those who do not have an appetite for what is human but for what is divine. The new birth is…a change in the inner nature, which transforms people by the power of God through faith from evil to good, from being fleshly to being spiritual, from unrighteousness to righteousness, out of Adam into Christ…The regenerated live out of the power of their new being, they crucify their flesh, with its evil desires, they leave the old Adam with his works, they avoid every appearance of evil, they are taught, controlled, and driven by the Holy Spirit. Church or ecclesia is a gathered congregation of people which is built on Christ and not on the pope, emperor, etc. Nor are the stone houses and towers churches. Paul says you are no longer pilgrims and strangers but fellow citizens and members of the household of God built on the foundations of the apostles and prophets. For all the prophets had the Spirit of Christ. That is why Christ is the cornerstone, whom the builders of the house of God cast out as a prophet. But this true sign of the holy Christian church is spoken against everywhere. The church of Christ is the basis and ground of truth, a lantern of righteousness, in which the light of grace is borne and held before the whole world, that its darkness, unbelief and blindness be thereby seen and made light, and that men may also learn to see and know the way of life. Therefore is the church of Christ in the first place completely filled with the light of Christ as a lantern is illuminated and made bright by the light: that his light might shine through her to others. Therefore take heed. If you see your brother sin, then do not pass him by as one that does not value his soul; but if his fall be curable, from that moment endeavour to raise him up by gentle admonition and brotherly instruction, before you eat, drink, sleep, or do anything else, as one who ardently desires his salvation, lest your poor erring brother harden and be ruined in his fall, and perish in his sin. We have been united as follows concerning the ban: The ban shall be employed with all those who have given themselves to the Lord, to walk in His commandments, and with all those who are baptized into the one body of Christ and who are called brethren or sisters, and yet who slip sometimes and fall into error and sin, being inadvertently overtaken. The same shall be admonished twice in secret and the third time openly disciplined or banned according to the command of Christ. Matt. 18. But this shall be done according to the regulation of the Spirit (Matt. 5) before the breaking of bread, so that we may break and eat one bread, with one mind and in one love, and may drink of one cup. Thereby he teaches expressly that believers shall have nothing to do with one who calls himself a brother, but is a fornicator, or covetous, or idol worshipper, or a reviler, or a drunkard, or a thief; with such the Christians shall have no fellowship… This word, together with the Holy Spirit, is the judge of the church of all false brothers, against all heretics, who after sufficient admonition do not improve, and all disorderly and disobedient persons. On the Lord’s day no other sentence will be pronounced, as the Lord himself says. The church has received this word from God, by which in the name of Jesus Christ and in the power of the Holy Spirit she testifies, judges, receives and expels. Whatever on earth she thus binds or looses with the word and spirit of the Lord, is bound or loosed in heaven. Our dispute is over the Word of God. We teach that there are two senses of the Word of God, the Word that was in the beginning with God and is God, through whom all things were created, and the scriptures, the written Word of God. We say, teach and confess therefore, that there are two senses of the Word of God… There is a vast difference between the Word of life, which is Christ himself… and the written Word, which is usually proclaimed by persons who themselves live without the Spirit and who are without the Spirit and who are without the fiery power from above. True believers in Christ suffer only tribulation and every kind of opposition. Christians must be like Christ the head, whose members they are through suffering. True Christians must here be persecuted for the sake of truth and righteousness, but they persecute no one on account of his faith. For Christ sends his disciples as sheep among wolves (Mt. 10:16). However, the sheep does not devour the wolf, but the wolf the sheep. Those who persecute others on account of their faith can nevermore be counted as a church of the Lord. As soon as a man wants to begin to live as a Christian he will experience exactly those things that Christ experienced… That is the lot of all Christians for the disciple is no greater than the master. For it is grace if someone for the sake of conscience suffers godly sorrow… For it is grace with God when you patiently suffer for doing good. For to this you were called, since Christ also suffered for us and left us an example that you should follow in his footsteps. He committed no sins neither was deceit found in his mouth. Christ suffered in the flesh. Arm yourselves with the thought that whoever suffers in the flesh ceases from sin… It is given to you that you not only believe in Christ but also suffer for him and fight the same battle. Paul says that you are heirs of God and joint heirs with Christ if you suffer with him in order that you may be exalted with him in glory. For we must be confirmed to the image of his Son… It is true, Christ’s suffering destroys sin but only if he suffers in man. For as the water does not quench my thirst unless I drink it, and as the bread does not drive away my hunger unless I eat it, even so Christ’s suffering does not prevent me from sinning until he suffers in me. By this counsel we are all taught that we must hear Christ, believe in Christ, follow in his footsteps, repent, be born from above; become as little children, not in understanding, but in malice; be of the same mind as Christ, walk as he did, deny ourselves, take up his cross and follow him; and that if we love our father, mother, children, or life more than him, we are not worthy of him, nor are we his disciples. If a man is to come to the knowledge of the living Son of God he must await the work of God through the cross of Christ which we must carry and follow in the footsteps of Christ… And all who desire to grow in the body of Christ in which the Son of God is known and through which we become God’s children and joint heirs with Christ as Paul witnesses to the Romans (Rom. 8:17) (must) also suffer with him and grow into the image of the Son of God through the justification of the Father. And whoever will not follow the footsteps and ways (of Christ) and will not carry the cross of Christ he does not have or know the Son. And whoever does not have or know the Son does not have or know the Father, and cannot be illuminated by the graciousness of the Holy Spirit who dwells in us. Our weapons are not weapons with which cities and countries may be destroyed, walls and gates broken down, and human blood shed in torrents like water. But they are weapons with which the spiritual kingdom of the devil is destroyed and the wicked principle in man’s soul is broken down, flinty hearts broken, hearts that have never been sprinkled with the heavenly dew of the Holy Word. We have and know no other weapons besides this, the Lord knows, even if we should be torn to a thousand pieces, and if as many false witnesses rose against us as there are spears of grass in the fields, and grains of sand upon the seashore. We are agreed as follows concerning the sword: The sword is ordained of God outside the perfection of Christ. It punishes and puts to death the wicked, and guards and protects the good. In the Law the sword was ordained for the punishment of the wicked and for their death, and the same (sword) is (now) ordained to be used by the worldly magistrates. In the perfection of Christ, however, only the ban is used for a warning and for the excommunication of the one who has sinned, without putting the flesh to death - simply the warning and the command to sin no more. The people of the kingdom of this world are equipped for fighting against their enemies with carnal weapons – spear, sword, armour, guns and powder. The people in Christ’s kingdom are equipped with spiritual weapons – the armour of God, the shield of faith, and the sword of the Spirit – fight against the devil, the world, and their own flesh, together with all that which arises against God and his Word (Eph. 6:2, 2 Cor. 10). No, dear sirs, no, (bloodshed) will not be able to free you in the judgement day of God (Lk. 22:50). I am speaking the truth to you in Christ: take seriously the disciples of Christ who are baptised correctly, inwardly with the Spirit and with fire, and externally with water according to God’s Word. They know no weapons except patience, hope, silence and God’s Word. The oath serves no other purpose than to make men testify truly. Can the truth not be told without oaths? Do all testify to the truth even when under the oath? To the first question you must say yes, and to the last no. Is the oath the truth itself to which one testifies, or does the truth depend upon the man who takes the oath? Why does not the magistracy then accept the testimony confirmed by yea and nay as commanded of God instead of that confirmed by that which is forbidden? For it can punish those who are found false in their yea and nay as well as those who swear falsely. Always and everywhere I have said as follows about the community of goods: that each man should have regard for his neighbour, so that the hungry might be fed, the thirsty refreshed, the naked clothed. For we are not lords of our own property, but stewards and dispensers. Assuredly no one could say that we claim that one should take his own from anybody and make it common property; rather we would say: if anyone would take your cloak, give him your coat also. Now, since all the saints have fellowship in holy things, that is in God, who also has given to them all things in his Son Christ Jesus – which gift none should have for himself, but each for the other; as Christ also has nothing for himself, but has everything for us, even so all the members of his body have nothing for themselves, but for the whole body, for all the members. For his gifts are not sanctified and given to one member alone, or for one member’s sake, but for the whole body with its members. The devil is the prince over the whole world, in whom all the children of darkness rule. Christ is the prince of the spirit, in whom all who walk in the light live. There are two distinguishable kingdoms on earth – namely the kingdom of this world and the peaceable kingdom of Christ. These two kingdoms cannot share or have communion with one another. The people in the kingdom of this world are born of the flesh, are earthly and carnally minded. The people in the kingdom of Christ are reborn of the Holy Spirit, live according to the Spirit, and are spiritually minded. We are agreed (as follows) on separation: A separation shall be made from the evil and from the wickedness which the devil planted in the world; in this manner, simply that we shall not have fellowship with them (the wicked) and not run with them in the multitude of their abominations. This is the way it is: Since all who do not walk in the obedience of faith, and have not united themselves with God so that they wish to do His will, are a great abomination before God, it is not possible for anything to grow or issue from them except abominable things. For truly all creatures are in but two classes, good and bad, believing and unbelieving, darkness and light, the world and those who (have come) out of the world, God's temple and idols, Christ and Belial; and none can have part with the other. …it will be observed that it is not appropriate for a Christian to serve as a magistrate because of these points: The government magistracy is according to the flesh, but the Christian's is according to the Spirit; their houses and dwelling remain in this world, but the Christian's are in heaven; their citizenship is in this world, but the Christian's citizenship is in heaven; the weapons of their conflict and war are carnal and against the flesh only, but the Christian's weapons are spiritual, against the fortification of the devil. The worldlings are armed with steel and iron, but the Christians are armed with the armor of God, with truth, righteousness, peace, faith, salvation and the Word of God. And so it is clear, that the new covenant is not according to the old; for in the old covenant, the priest's lips were to preserve the people's knowledge. And Ezra had a pulpit of wood to read the law to the people upon; the law was written in tables of stone. But in the new covenant and testament Christ ends this priesthood, whose lips were to preserve the people's knowledge; and they are to look unto Christ Jesus, who is the treasure of wisdom and knowledge in the new covenant. In the new covenant, God writes his laws in their hearts, and puts them in their minds in the new covenant, by which all may know him, from the greatest to the least of them. And in the old covenant they had sanctuaries, and tabernacles, and temple, and the high priest was to light the candle and lamps in them. But in the new covenant, Christ who ends the first priesthood, and the old covenant, and abolishes the sanctuary, tabernacle, and outward temple and lamps, enlightens every man's spirit that comes into the world, in his tabernacle or temple, with his heavenly light, which is the life in himself, Christ Jesus, the high priest, made higher than the heavens. So he was made by the oath of God, and fulfils it; so were not the priests in the law and old covenant. So the new covenant is not according to the old; for the old covenant, and the law, commanded offerings and sacrifices; but Christ in the new covenant, offered up himself once for all the offerings and sacrifices, and ended them all, and the old covenant also. And now is the Lord known, and his promise fulfilled, and his ordinances performed, who has put his law in their hearts, and written them in the inward parts of his people, and he is their God, and these need not teach every man his brother, and every man his neighbour, saying, know the Lord, for they shall all know me from the least to the greatest, said the Lord, and these, who can show this, that the law of God is written in their hearts, they know the Lord, from the least to the greatest, (Jer. 31:34). And in Ezekiel 11, the Lord said by him, I will give them one heart, and I will put a new spirit within you, and I will take their stony heart out of their flesh, and give them a heart of flesh, that they may walk in my statutes, and keep mine ordinances to do them, and they shall be my people, and I will be their God. (Ezek. 11:19). Now this spirit is witnessed, which the Lord has put within his people, and has given them a new heart, and this is the one heart, the new heart, with which the people of God come to be joined together to God. This brings the people to know the Lord to be their God, and themselves to be his people according to his promise: they shall be unto me a people, and I will be unto them a God; but as for those that walk after the heart of their own detestable things, and their own abominations, I will recompense their way upon their own heads, said the Lord God (Ezek. 11:21). We are of the true circumcision, who worship God in the spirit, and rejoice in Christ Jesus, and have no confidence in the flesh; for he is not a Jew that is one outward, neither is that circumcision which is outward in the flesh; but he is a Jew which is one inwardly, and that is circumcision that is of the heart, in the spirit, and not in the Letter, who praise is not of men, but of god, Rom. 2. And this is the seal of the everlasting Covenant, that takes away the foreskin of the heart, and washes away the filth of the flesh; and here the knowledge of the true God is manifested in man, where God shews it unto him, according to the Apostles Doctrine (Rom. I:9). But Christ was come, who ended the temple, and the priests, and the tithes, and Christ said, ‘Learn of me’, and God said, ‘This is my Son, hear ye him.’ For the Lord had sent me with his everlasting gospel to preach, and his word of life to bring them off all those temples, tithes, priests and rudiments of the world, that had gotten up since the apostles’ days, and had been set up by such who had erred from the spirit and power the apostles were in, so that they might come to know Christ their teacher, their counsellor, their shepherd to feed them, and their bishop to oversee them and their prophet to open to them, and to know their bodies to be the temples of God and Christ for them to dwell in. So Christ, who is a spirit, rules in the Kingdom within a cleansed man's heart; and Christ is seen not with the natural eye, but with the spiritual eye. With the spiritual eye one sees the face of God, to have knowledge of the glory of God in the face of Christ Jesus (2 Cor. 4:6), and this is seen in ever increasing glory (2 Cor. 3:18). Christ said, unless a man is born again of water and of the spirit, (spiritual water) he cannot see the kingdom of God, nor enter into it (Jn. 3:3,5,8). So no man in his first natural birth can see the kingdom of God, nor enter into it, nor know the things of God. For those who see the kingdom of God, they come to the spirit of God, and the spiritual birth by which the things of God are known, and the kingdom of God; and John the divine said, he was in the kingdom (Rev. 1:9) then he saw it. And the apostle Paul said, God has translated us into the kingdom of his dear son. And so then these (John, Paul, and others) saw the kingdom, and were in it (Co. 1:13). In the world there be many sorts and forms of baptisms, but in Christ there is but one, and that is that of the Spirit; and this is the baptism of Christ, and all that are baptized with it are baptized into his death, buried with him to the world, its ways and worships, loves and friendships, and to all that in them is which would conform or bow thereto; and through this death is the seed of God raised up out of the grave, quickened by the same Spirit which raised Jesus from the dead. And all that are baptized with this Spirit (and the old man dead and buried) they are raised a spiritual seed unto God, holy and zealous of good works, being begotten again of another nature from above, which is but one; and all, as they are baptized herein, grow into one in God the Father and the Son Jesus Christ. ...for the cross is to the carnal, wild, heady, brutish nature in you, which lies above the seed of God in you, and oppresseth the pure. Now giving this up to be crucified makes way for that which is pure to arise and guide your minds up to God, there to wait for power and strength against whatever the light of God makes manifest to be evil, and so to cast it off, and so you shall see where your strength lies and who it is in you that works the will and the deed, and then you shall be brought into a possession of what you have but had a profession, and find the power of what you had but in words, which is hid from all professions in the world and is revealed no other way but by the pure light of God dwelling in you, and you in it. For now you know the power of God, which is the cross of Christ, and are come to it, which crucifies you from the state that Adam and Eve were in in the Fall, and so from the world; by which power of God you come to see the state of Adam and Eve were in before they fell… Yea I say and to a state higher, the seed, Christ the second Adam, by whom all things were made… and the way is Christ the light, the life, the truth and the saviour, the redeemer, the sanctifier, the justifier; and so in his power and light and life who is the way of God, conversion, regeneration and translation are known, from death to life, darkness to light, and from the power of Satan to God again. I stepped up, and asked the priest, ‘Do you call this place (the steeple house) a church? or ‘Do you call this mixed multitude a church?’ For the woman asked a question and he ought to have answered it, having given liberty for any to speak. But instead of answering me, he asked me, what a church was? I told him, the church was the pillar and ground of truth, made up of living stones, living members, a spiritual household, which Christ was the head of; but he was not the head of a mixed multitude, or of an old house made up of lime, stones, and wood. So (Christ) is the head of the Church, and they are living stones; but all you now who put the letter for the word, and have got it in your minds, and gather assemblies by it; this you cannot witness. And it is ignorance for you to say that the letter is the word; when the letter says, God is the word. And it is a lie to speak and say that the steeple-house is the church; or to say, those who are gathered by the form of the letter, is the Church of God; for the Church is the pillar and ground of truth, gathered by the eternal power that was before the letter was; and all who are in this church, as it is called of the world, and live in the comprehension of the letter, and the earthly part yet standing, there is devilishness in your minds, and earthliness, and pride, and filth. If you hearken to that light in your conscience, it will let you see so; and while those are standing, such whose sacrifice God accepts not, and praises (while nature is standing) God accepts not, which is Cain's, to which God has no respect, but only to Abel's. God is a God of order, and not of confusion; and the apostle said to the church of Christ, ‘Let all things be done decently, and in order.’ Mark, all things in the church of Christ. So then there is nothing to be done indecently, out of the order of the peaceable truth; for God is not the author of confusion, or tumults, or unquiet, but of peace in all the churches of the saints. And therefore, if God is not the author of such confusion, tumults, and unquiet, but of peace in all the churches of the saints; then confused, tumultuous, unquiet, and indecent, and disorderly spirits, with the power and spirit of God, they must be admonished to the peaceable spirit of God in them, and with it judge out the contrary, else the church of Christ, in its power and peaceable spirit, can have no unity with them, but with the spirit and power of Christ, judge that indecent, confused, tumultuous, unquiet, disorderly spirit. Now concerning gospel-order: though the doctrine of Jesus Christ [Mat 18:15-17] requireth his people to admonish a brother or sister twice, before they tell the church, let that limiteth none, so that they shall use no longer forbearance, before they tell the church, but that they shall not less than twice admonish their brother or sister before they tell the church. And it is desired of all, that before they publicly complain, they wait in the power of God to feel, if there is no more required of them to their brother or sister, before they expose him or her to the church: let this be weightily considered. And further, when the church is told, and the party admonished by the church again and again, and he or they remain still insensible and unreconciled, let not final judgment go forth against him or her, till every one of the meeting have cleared his or her conscience; that if any thing be upon any further to visit such a transgressor, they may clear themselves, that if possible the party may be reached and saved. And after all are clear of the blood of such an one [Ezek 3:17-21], let the judgment of Friends in the power of God go forth against him or her, as moved, for the Lord's honour and glory's sake, that no reproach may come or rest upon God's holy name, truth, and people. And (the priest) told the people that the Scriptures were the touchstone and judge by which they were to try all doctrines, religions and opinions, and to end controversy. Now the Lord’s power was so mighty upon me and so strong in me, that I could not hold, but was made to cry out and say, ‘Oh, no, it is not the Scriptures’….. But I told them what it was, namely the Holy Spirit, by which the holy men of God gave forth the Scriptures, whereby opinions, religions and judgements were to be tried; for it led into all Truth, and so gave the Knowledge of all Truth. The scriptures of truth are the words of God and not the Word, and Christ who was before the scriptures were given forth, by whom the world was made, is the Word of God, who fulfilled the words; the scriptures end in him, who was before they were spoken forth. There is not nor can there be any knowledge of God but by revelation from Jesus Christ which is before the letter was, which the letter declares. The second man is humble and lowly, meek and full of love to all, honors all men according to God, without respect of persons, would have all to come to life, stands in the wisdom of God which is pure and peaceable, is willing to be a fool to the world and serpent's wisdom, content to suffer wrongs, buffetings, persecutions, slanders, reviling, mocking, without seeking revenge, but bears all the venom the serpent can cast upon him with patience and thereby overcomes him and bruises his head, and is made perfect through suffering, and counts it joy, and rejoices in the cross and loss of all things that are visible, but looks at that which is eternal, for he knows that he cannot have both; for to be a friend to the world is the enemy of God. Glory to God and our Lord Jesus Christ, that now these twenty-five years, since we were known to be a distinct and separate people, hath given us faithfully to suffer for his Name, without shrinking or fleeing the Cross; and what liberty we now enjoy, it is by his mercy, and not by any outward working or procuring of our own, but 'tis he has wrought upon the hearts of our opposers; nor was it any outward interest hath procured it unto us, but the testimony of our harmlessness in the hearts of our superiors: for God hath preserved us hitherto in the patient sufferings of Jesus, that we have not given away our cause by persecuting any, which few, if any, Christians, that I know, can say. Christ’s Kingdom is not set up by Carnal Weapons, for Christ said, My Kingdom is not of this world; and therefore his Servants do not fight: Now all you who profess your selves to be Christians and Gospellers, and are fighters with Clubs and Swords about your Religion, you are not Christ’s Servants, but are contending for Earthly Kingdoms, for Christ’s Kingdom is fought for with spiritual weapons in patience and sufferings; and Christ said to his Disciples, which would have had Fire come down from Heaven to consume them that were contrary minded to them, (as the Prophet did) he turns him about, and rebukes them and told them, they did not know what spirit they were of, He came not to destroy mens lives, but to save them; and so they that destroy mens lives, and do not save them, are not in Christ’s mind, nor way, but are under the rebuke of him, and do not know what spirit they are of themselves; and therefore they that are wise will not trust their Souls, Bodies, or Spirits in the hands of such. That righteousness which God accepts is but one, which is his own, perfectly fulfilled and manifest in the world in Christ Jesus the light and Savior thereof; which righteousness is not of the world, nor manifest to the world, nor in the world received, but by the world ever judged as unrighteousness, nor can the world inherit it, but only they who believe in the light of Christ, which God hath given into the world, to lead out of the world to Christ, where God's righteousness is. And there be many talkers of this righteousness, yet none inherit it further than by faith they receive the Son of righteousness, and with him his righteousness is freely imputed, or put into the creature, a free gift from the Father; and with this righteousness is the creature made righteous even as he is righteous, even as the measure of Christ is received, and no further; and whose life is kept in the measure of him, as he is so are we in this present world, and not of this world, even as he is not of this world; and herein is boldness in the day of judgment, in that which is perfect. And as they war not against men's persons, so their weapons are not carnal, nor hurtful to any of the creation; for the Lamb comes not to destroy men's lives, nor the work of God, and therefore at his appearance in his subjects, he puts spiritual weapons into their hearts and hands: their armor is the light, their sword the Spirit of the Father and the Son; their shield is faith and patience; their paths are prepared with the gospel of peace and good will towards all the creation of God. Their breastplate is righteousness and holiness to God; their minds are girt with godliness, and they are covered with salvation, and they are taught with truth. And as they war not against men's persons, so their weapons are not carnal, nor hurtful to any of the creation; for the Lamb comes not to destroy men's lives, nor the work of God, and therefore at his appearance in his subjects, he puts spiritual weapons into their hearts and hands: their armor is the light, their sword the Spirit of the Father and the Son; their shield is faith and patience; their paths are prepared with the gospel of peace and good will towards all the creation of God. Their breastplate is righteousness and holiness to God; their minds are girt with godliness, and they are covered with salvation, and they are taught with truth. ..for we have chosen the Son of God to be our King, and he hath chosen us to be his People; whose Kingdom is not of this World (John 18:36), neither is his Warfare with carnal Weapons (2 Corinthians 10:4), neither is his Victory by the murdering and killing of men’s Persons; but we are given up to bear and suffer all things for his Name's sake; and our present Glory and Renown therein stands till the appointed time of our Deliverance, without the Arm of Flesh, or any multitude of an Host of men; this we declare. God is against you, you covetous cruel oppressors who grind the faces of the poor and needy, taking your advantage of the necessities of the poor, falsifying the measures and using deceitful weights, speaking that by your commodities which is not true and so deceiving the simple, and hereby getting great estates in the world, laying house to house and land to land till there be no place for the poor; and when they are become poor through your deceits then you despise them and exalt yourselves above them, and forget that you are all made of one mould and one blood and must all appear before one judge, who is no respecter of persons, nor does he despise the poor; and what shall your riches avail you at that day when you must account how you have gotten them and whom you have oppressed? Yea, woe to him that coveteth an evil covetousness to his own house, that buildeth a house with oppression: the stone in the wall and the beam in the timber shall cry out against him. The first man is of the earth earthly: minds earthly things, lives in the earth, delights in the earth, lusts after the earth, covets, contends and sues for it; for his treasure is in the earth and his heart is with it; for it is his portion; and his thoughts, words and wisdom are all employed about it, plotting and forecasting how to compass it and fetch it out of the hands of others, to heap up; but is never satisfied, but is a servant to it; it is his life, his joy; and if it be taken from him his comfort is gone: it is his god, and he worships it, and would have all to worship him because of the abundance of it that he has got together; for he knows no other God nor greater happiness than what he sees with carnal eyes, & this all his actions witness; and this is he that is exalted above all that is called God and opposes God in all his commands. The second man is the Lord from heaven, and he that bears his image minds heavenly things and delights in heavenly things; for he is spiritual and judges not according to outward appearance; for the evil eye that offends is plucked out, that eye which leads into visible things; and there is an eye turned inward which pierces into the hidden treasure which is eternal, which the natural eye sees not. And having once got a sight of the true riches, he casts away all his idols and idol-worships, and whatever is perishing, and treads upon all that may hinder his enjoyment thereof, though they have been never so dear to him; now it is become base, dross and dung, that he may obtain the invisible riches. And herein is the clear difference between heathens and Christians. The one exercise justice, and judgment, and righteousness, which is of God and in his will, whereby they rule over all unrighteousness of men of corrupt minds and principles whatsoever, and stand in the authority of God a terror to the evildoer. The other exercise lordship over men's persons, in their own wills, which they set up in their selfish principle, in carnal policy, who lay the sword upon the just as on the unjust, if he bow not to their wills; which who stands in the will of God may not do; and so they that abide in the fear of God do ever suffer by such as are out of his fear. And though these be set in their places by the permission or appointment of God, yet not knowing him who ordereth all things, to order them, though they are restrained from evil, or made to do his will, yet have they no reward nor share in it, not doing it in obedience of God, nor from a principle of equity, not knowing Christ guiding and leading them therein; they are no Christians whatever they may call themselves. I own allegiance to the King, as he is the King of England, but Christ Jesus is King of my conscience… I would rather choose prison for obeying God, than my liberty for obeying men, contrary to my conscience. Hi Stuart. I've just come across your blog. Thanks for sharing these writings. I'm a direct descendant of Henry Masters who came to the United States from Germany. He was a "Dunker," as the German Anabaptists were known, and he started a number of Brethren churches in North Carolina and Tennessee. Do you know if you are any relation to him? Hi Steve, Good to meet you here! I don't know if I have any family connection to Henry Masters. I have not done any work on my genealogy. I have come to the Anabaptist tradition by a marriage connection (some on my in-laws are Klassens from Winnipeg, Canada) but it would be great to find a more direct connection. Shalom, Stuart. Finding these comparisons interesting. For sometime both primitive Quaker and primitive Anabaptist thought have impacted how I view the world. Excellent work putting this together. Thanks. Dear David, thank you for your kind comments. Much appreciated! Shalom, Stuart.